Home→Monday Musing→Are You a Harvester? 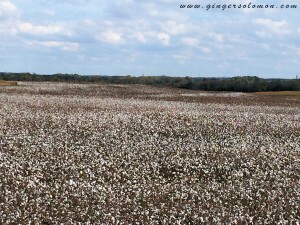 I took this picture of the field across from house late last week in preparation for this post. 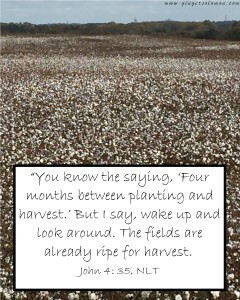 Yesterday our pastor spoke about the harvest. It was confirmation that I should write this today. Have you ever picked fruit or vegetables straight from the vine/plant? A fresh strawberry plopped right into your mouth straight from the vine. YUM! Or fresh blueberries or a ripe tomato right off the plant. Nothing you buy in the grocery store matches it. Ever. But they have to picked at the right time. Too early and the flavor is not fully developed. Too late and they are rotten. So it is with people. Too early and we risk pushing the person further from the TRUTH. Too late, well, it’s only too late if they’re dead. That doesn’t mean we don’t sow seed by living a life of integrity and keeping our words in line with the Word. 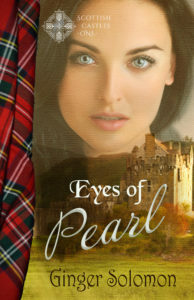 Unbelievers are always watching and waiting. Even if they don’t know it, they notice the difference in a TRUE child of God following Christ’s example. Sometimes they become hateful and say mean things, even if you’ve done nothing to incur their wrath. It’s the Spirit in you that convicts them (not condemns, but convicts). You don’t even have to say a word. One thing I do know. 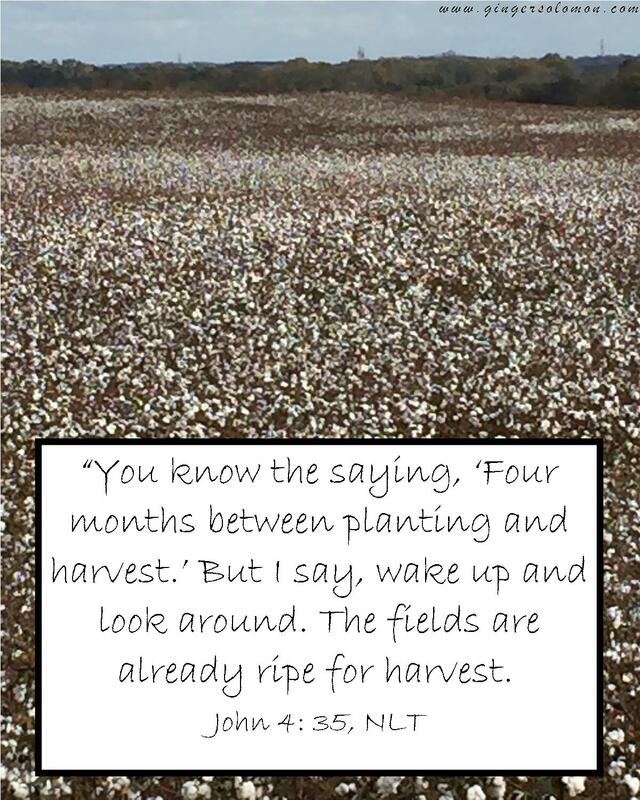 The fields are ripe for harvest as Jesus says in John 4. So many lost souls are looking for answers that WE HAVE. Why not be a harvester today? Sometimes it only takes a smile, a happy hello, and a willingness to step out in faith. Harvest a seed that someone else has planted and waters in prayer. Remember, if they reject your words, they are not rejecting you. They are rejecting Jesus. 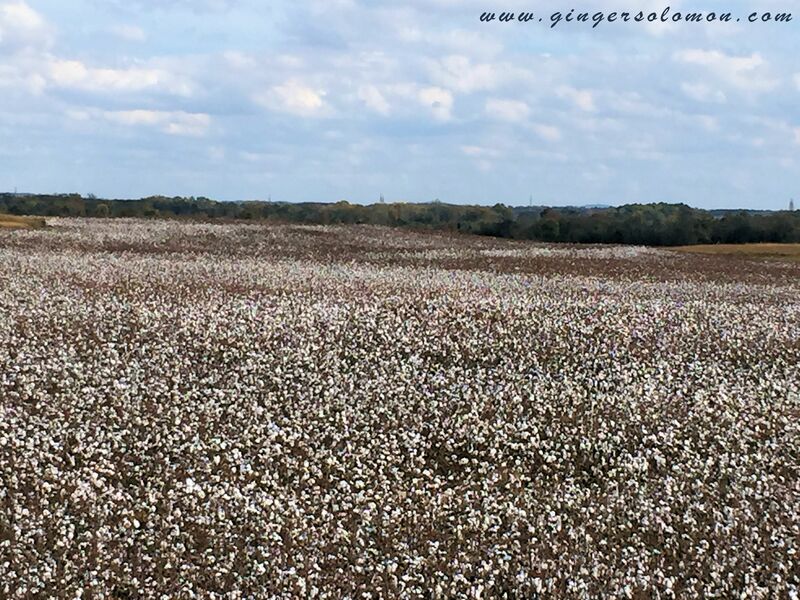 Just as there are spots of unripe cotton in this field, there are hearts not ready to hear the TRUTH. That doesn’t mean you can’t plant a seed for another to harvest. I pray that the seeds I planted in my older brother will one day produce a harvest for someone else, and that I will see him in the kingdom of God. I’d love to pray for you as you wait for your loved ones to be ready for the harvest. If you would like to leave just their first name in the comments or even just their initials, I will pray for each one. God knows. He hears.